Honored to serve the residents of Dodge County with their flood relief efforts. A quick photo after the Medicaid Expansion Forum/Discussion held at the Omaha Press Club yesterday. Lots of information from both sides - great opportunity to get informed! 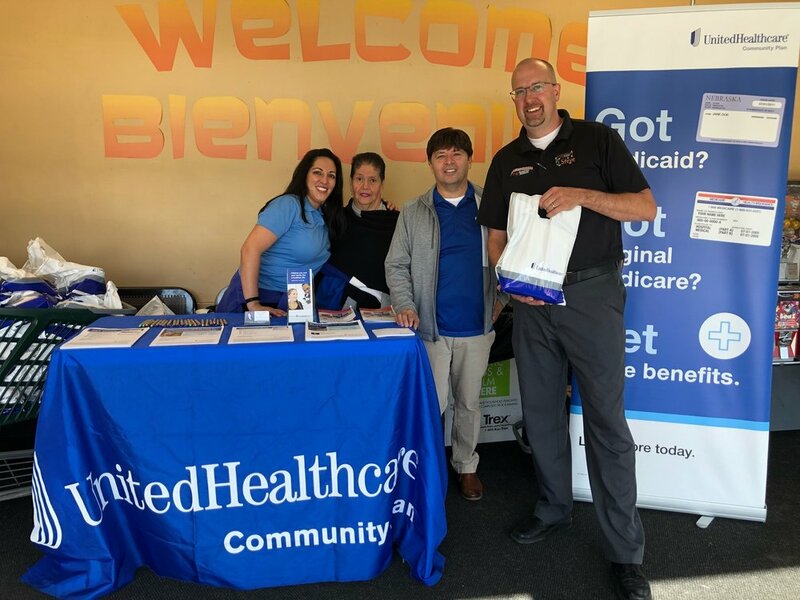 A great day with my friends from United HealthCare and Supermercado Nuestra Familia on 18th & Vinton in Omaha. We partnered to give away fruit bags to promote healthy living and Medicare education. Thank you to all who participated and helped to put smiles on many faces! with Alberto Cervantes from United HealthCare and Steve Young, General Manager of Supermercado on 18th & Vinton.